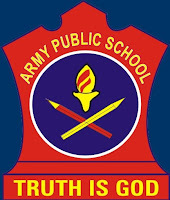 Army Public School (Srinagar) invited the application for TGT, PGT & PRT Posts & other in concerned subjects. Application forms are available in the school office for Rs 200/ in cash. Same may also be downloaded from the School website. Duly filled the application form with requisite fee, through Demand Draft only in favour of APS, BB, Cantt Srinagar to reach the school office on or before 24 Feb 2018 through Registered/speed post only.